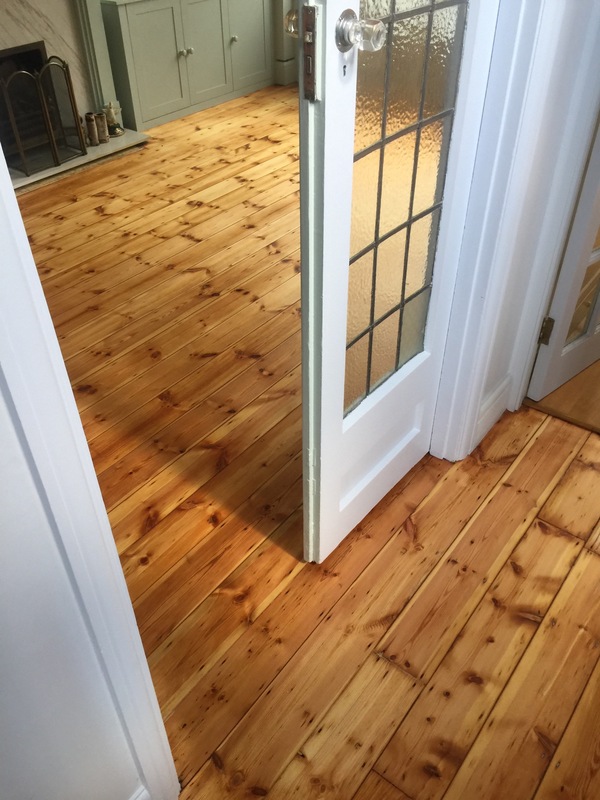 Pine floor sanding – one of our good clients made the enquiry about sanding floors in dining room and hallway. Main reason was that the room was cold and draughty. 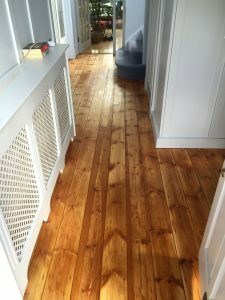 Loosing the warm air through the gaps in the floor boards. Therefore, main task was to fill the gaps, so warm air does not escape the room. Some of the gaps were larger, so we use silicon filler in areas. 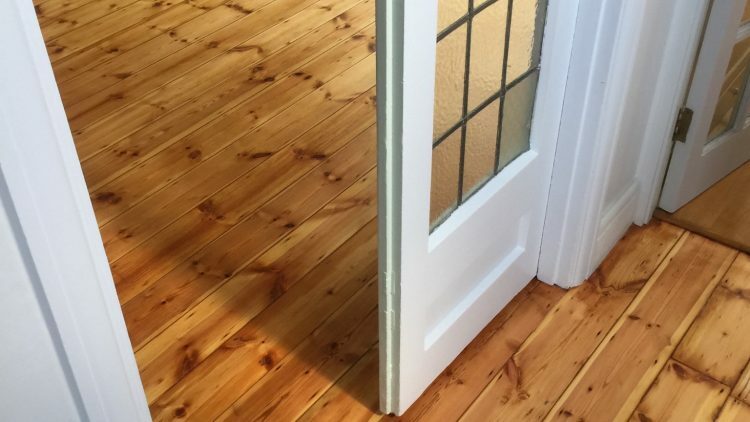 In order to use oil on the floors, you have to fill all the gaps anyway. This is major reason for the job, so it makes a lot of sense to go ahead with the project. 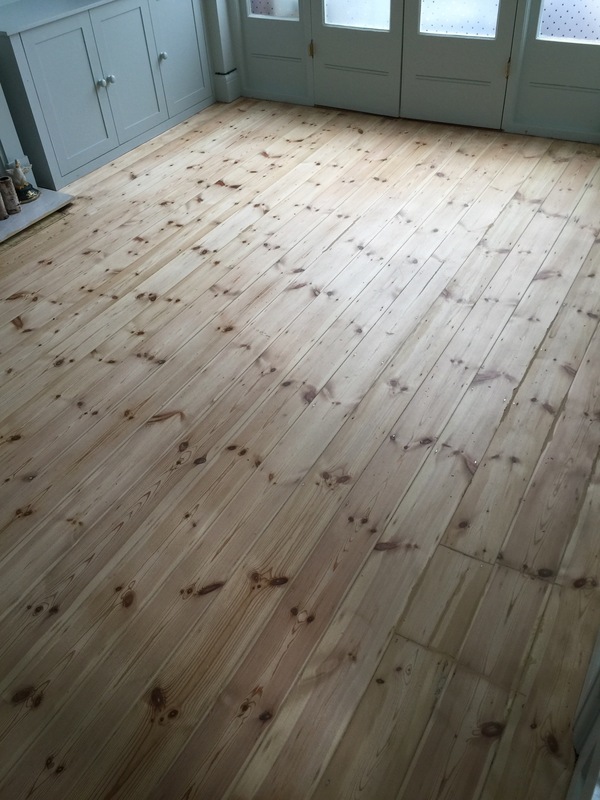 After filling the gaps with the sawdust from this very pine floor, we can sand, reinspect and oil it. 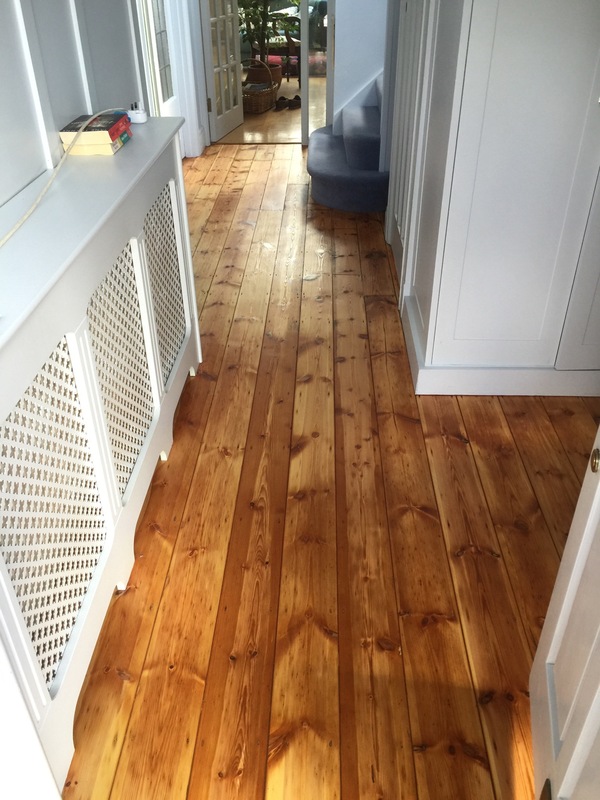 Pine timber is a soft wood, used as the subfloor in most houses. 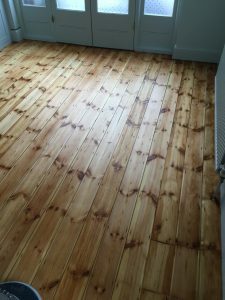 Instead of covering it with other types of flooring, why not have a think and make the most out of what is already there. 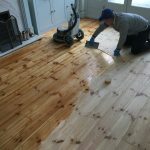 Think about pine floor sanding and refinishing. 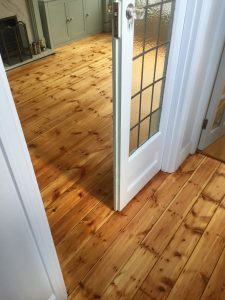 Oil will expose the grains of wood, add to it beautiful honey colour and allows the wood to breather natural, unlike like topical finishes like lacquer or varnish. 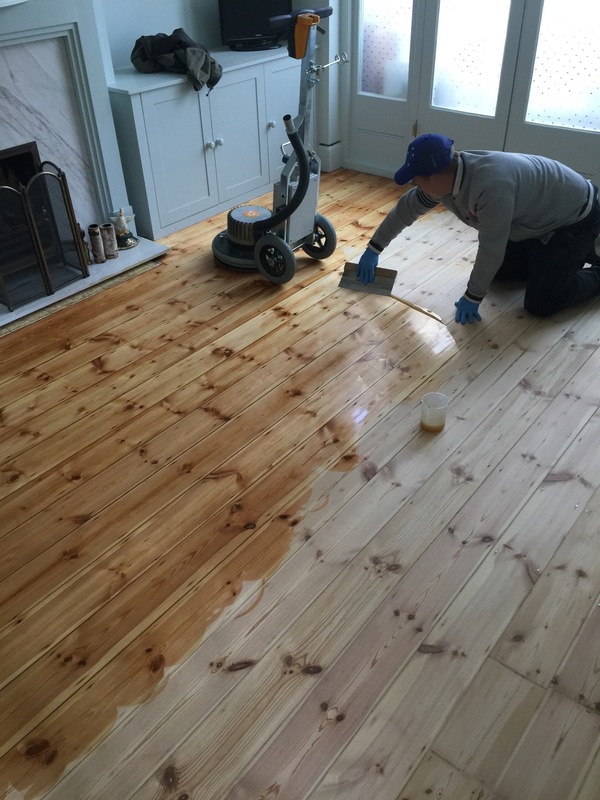 …and yet again, Wojtek is enjoying himself applying the magic oil to the sanded floor. 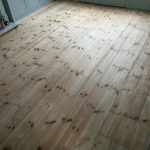 This is gratifying moment as you can finally see the end of the job and amazing result after floor sanding. Then second layer of the oil is applied and buffed with our amazing buffing machine and 4h laters is ready to be walked on. 12h later oil is fully cured, not like lacquers which take 12h between coats and up to 7 days to be fully cured. Floor sanded, oiled and buffed. 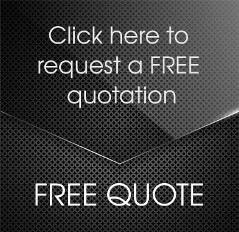 Why would you replace your floors, while you can have them looking brand new in no time. 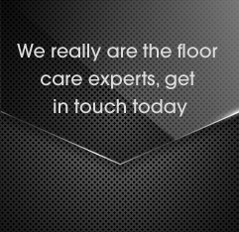 Read more about our floor sanding service.